Current good manufacturing practice - cGMP is to follow the current regulatory guidelines to produce the best quality pharmaceutical products with proper documentation and data integrity. Current Good Manufacturing Practice (cGMP) requirements are set up by the Food and Drug Administration (FDA) and serve as the benchmark for testing the quality of drug products in order to ensure they comply with the minimum standards. These regulations serve as the truth meter for the product's safety and seek to ensure that a drug's strength and ingredients match its claims. 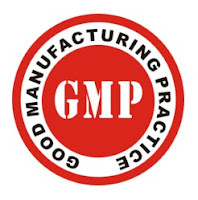 cGMPs provide a guideline for total quality control for manufacturers of pharmaceutical products with the overall objective being to ensure product safety. In order to determine compliance, the FDA inspects and makes assessments regarding the manufacturer's ability to manufacture human and animal drugs and equipment being used. The c in cGMP stands for current and requires that manufacturers use up to date regulations. For these regulations, the practice need not only be "good" but also "current". Controls, equipment and methodology being used by the manufacturer must be current. Current can imply what is generally acceptable in the industry. Therefore, if new standards are introduced which are better than the current, the manufacturer is under obligation to comply with the new procedures. Currently, the FDA is the sole national authority mandated and tasked with the responsibility to issue policies on cGMPs. As a rule of thumb, a drug is deemed adulterated if the facilities used to manufacture it and the packaging, and processing do not conform to cGMPs. Therefore during the inspection, cGMP regulations first ensure the safety, efficacy and quality of the product. FDA decides whether firms have complied with the cGMPs by inspecting the firm's facilities, carrying out sample analysis and checking the compliance history. Products which do not fulfill the purported purpose or lack of quality control during processing and packaging predisposes a firm to regulatory action by the FDA. Therefore, manufacturers need to become aware of the burden of total accountability for obtaining knowledge. The cGMPs also provide that a person can comply only with the regulations that govern the specific operations they are engaged in. Additionally, these regulations require that a manufacturer not only be compliant but also maintain timely attention of innovations in the industry. New controls must be effected immediately. Firms have a grand responsibility to ensure adequate education and training is passed onto their employees regarding cGMPs requirements which apply to them. cGMPs serve as the foundation for assessing whether human pharmaceuticals are safe and effective to use. Additionally, they are the main standard regulations which drug manufacturing firms are expected to adhere to. According to cGMP guidelines if any pharmaceutical product passes all specified tests produced in GMP violating manufacturing area that should not be reached in the market. • Manufacturing processes should be properly defined and controlled. All critical processes should be validated to ensure the consistency of the process. Results of the validation of the processes should comply with specifications. • Batch Manufacturing Records should be controlled, and any changes to the process should be evaluated. Changes that can have any impact on the quality of the product must be validated. • Procedures and any instructions should be written in clear language to understand them properly. • Personnel should be trained for production, quality control and to carry out the documentation. • At the time of production and testing of final products, the records made manually or by instruments that provide the evidence that all the steps defined in procedures and instructions were done properly. Any deviation from the written procedure should be investigated and documented. • Documents of manufacturing including distribution with a complete history of a batch should be retained till the expiry of the batch. • A well-defined procedure should be available for recalling any batch from the market. • Market complaints of batches should be examined and the root causes of the defects should be investigated and appropriate preventive action should be taken to prevent recurrence of the defect.